This beautiful teak table is perfect for up to eight people. 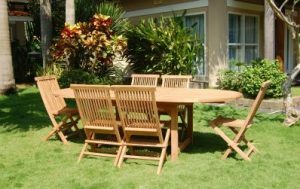 Quality garden furniture doesn’t have to be expensive. 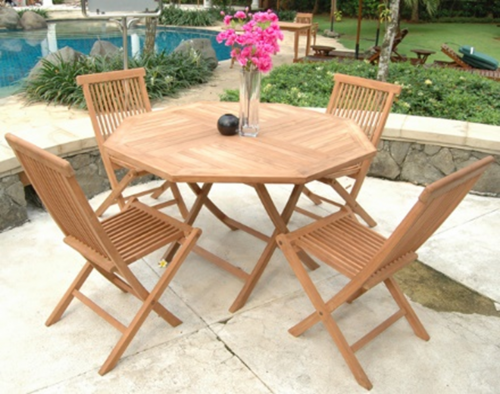 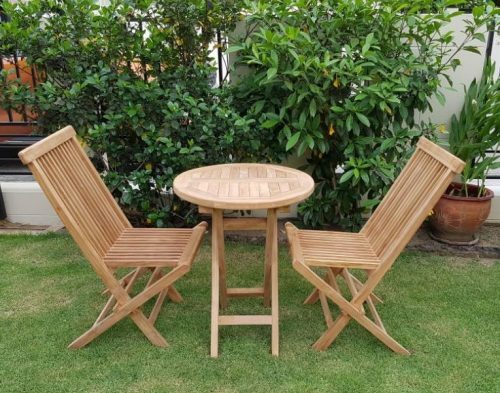 This teak indoor-outdoor garden dining set comes with space saving comfortable folding chairs. 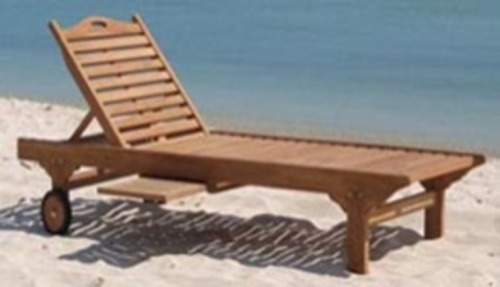 *note our cushions are waterproof but not uv protected and should be kept out of the weather when not in use.